Lebanese American University. Beirut, Lebanon. Dr. Elie Haddad is a Professor of Architecture at the Lebanese American University, where he has been teaching since 1994. He served as Chair of the Department of Architecture from 2000 to 2005, and currently serves as Dean of the School of Architecture & Design, since 2012. Dr. Haddad holds a Ph.D. in Architecture from the University of Pennsylvania, a Master’s of Science in Architecture from the University of Cincinnati, and a Bachelor’s degree from Boston Architectural College. His main areas of research are in architectural education, modern architecture, urbanism and social housing, and contemporary architectural movements. Between 2009 and 2015, he received several fellowships to conduct research on modern architecture in Germany, specifically on social housing and the work of Bruno Taut and Hans Scharoun in Berlin, and Ernst May in Frankfurt. Among his major publications are several articles in international journals, as well as a co-edited survey titled A Critical History of Contemporary Architecture, published by Ashgate in 2014. He also published two volumes on architecture and urbanism, in Arabic, in 2014. 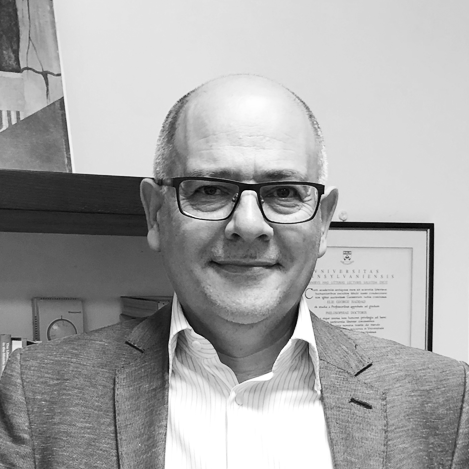 Dr. Haddad served on several national and international juries, among which the international jury for the Sheikh Zayed Museum in Abu Dhabi (2007), the BLC Bank in Beirut (2010), and the ArchMarathon in Milan (2016). He has been appointed recently to chair the jury of the Arab Architects Awards, which will be held in Beirut in October 2018. Haddad participated in several regional and local competitions, and remains engaged in architectural practice, in parallel with his academic obligations.